Kim is a Master Gardener from Montana. She has been growing, researching and testing the historical and practical use of herbs for 20 years. Oh lovage.....such a unique history..cultivated all over Europe and the Mediterranean for quite some time. No one knows its exact origins, although historians have several educated guesses. Either way, it is an old herb that has been used for centuries. Lovage came to me by way of "magickal" plant lists from pagan authors. 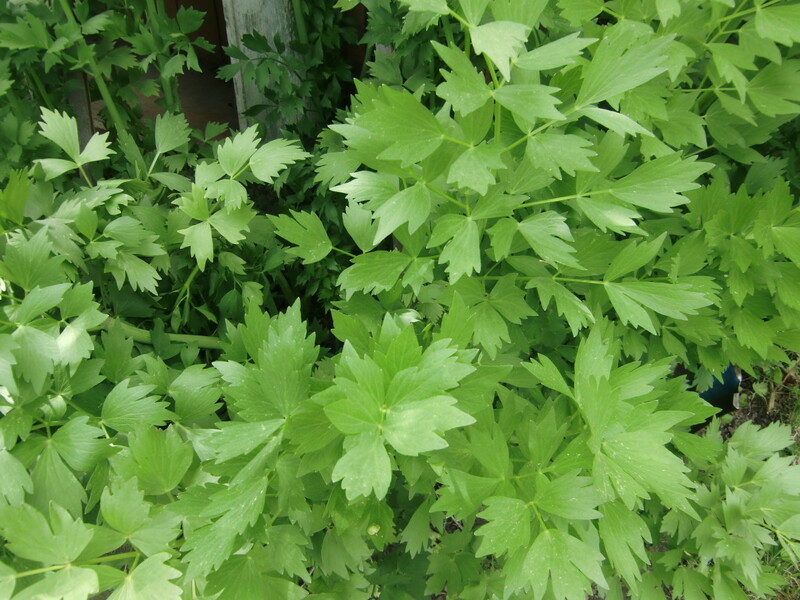 It was called "love parsley" and it was added to love sachets and love potions. That didn't seem very practical to me, so further research was necessary. I soon discovered the magic...food and medicine. I spent some time working the gardens of a special woman, Rosemarie. Rosemarie came here from Sweden when she was young. When she came to Montana in the 1970's she brought seeds from her native home that had been passed to her. In her garden I found lovage. I had seen lovage once before, and it grew in my garden, but this time there was someone to ask. Rosemarie used the plant in its traditional manner. Now I wanted to, too. In 2011 my best friend found herself living in a place called "Common Grounds". It was an old garden with old hard to find plants. 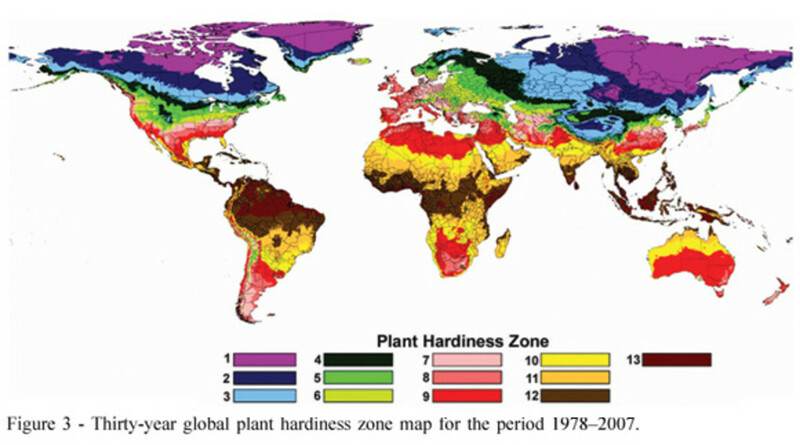 There was a book, with hand drawn maps and pictures indicating what was growing where. My friend called me to help her identify the plants and read the maps. Whoever put this together worked really hard and did a great job. 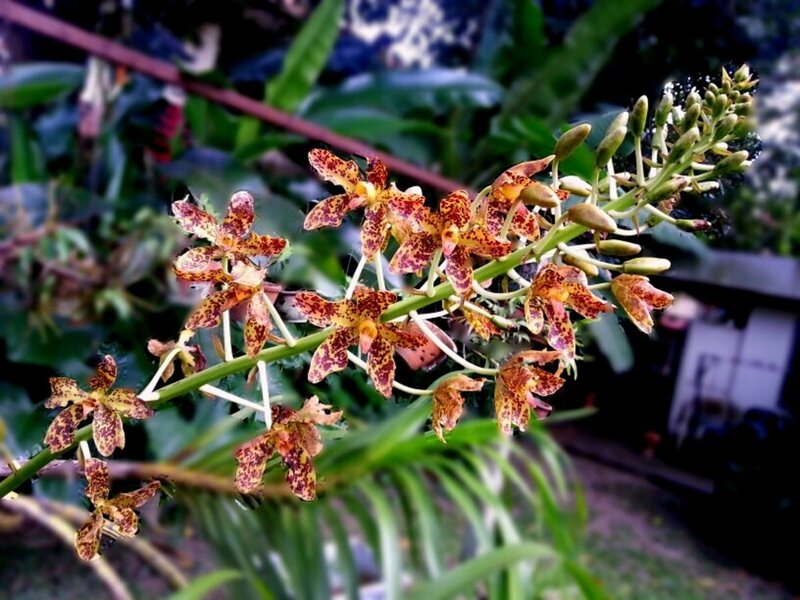 I found over 100 old world plants living at this residence. Lovage was one of them. It was tucked away in partial shade and it was tall! I carefully took a small specimen and brought him home. Once there I chose a spot closely mimicking where I had found it and promptly planted her. From there, she regained her strength and showed off just how vigorous she could be. 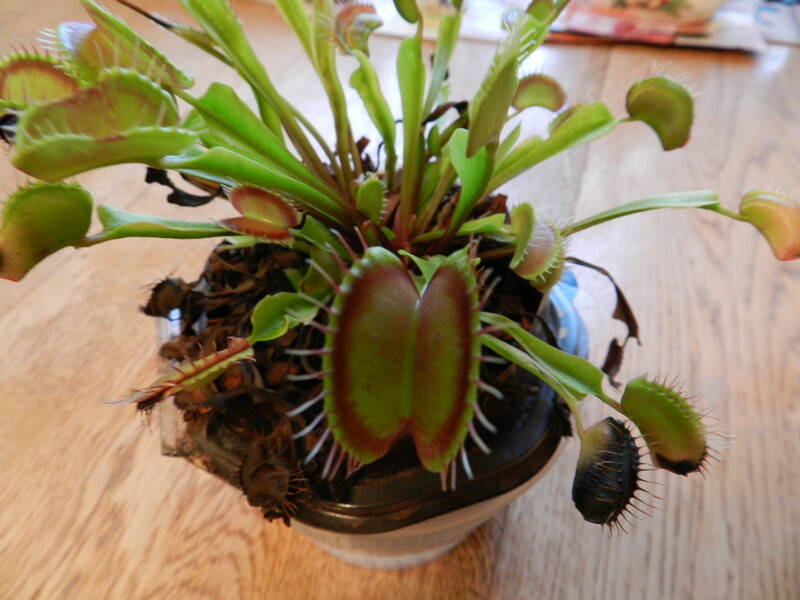 I transplanted her to three different locations before she found her permanent home on the homestead. Lovage (Levisticum officinale) was brought from the Olde World to the New World. It is the only species of this genus. Its actual native habitat is unknown, however remnants have been found thriving in areas it was cultivated across Europe. Lovage is zoned 4-9 and is a perennial. 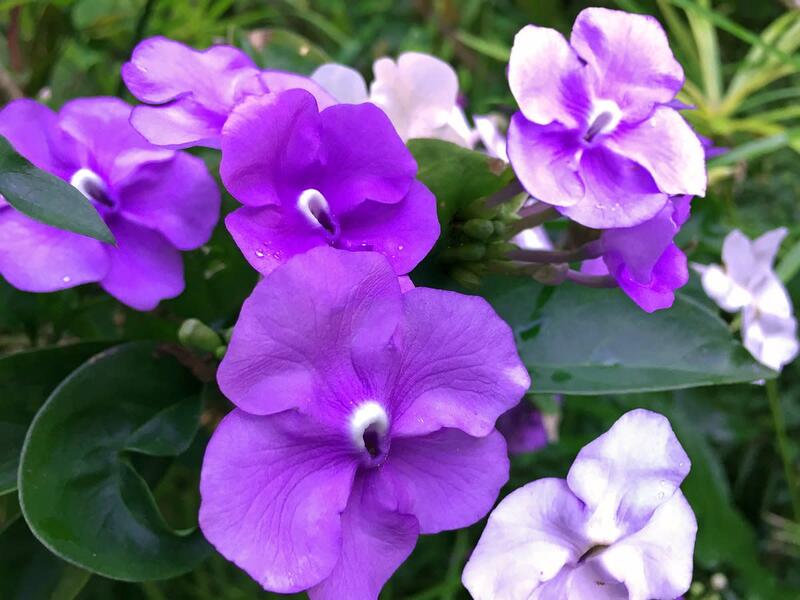 It thrives in areas of early morning to afternoon sun. In the heat of the day, lovage prefers shade. Water requirements are average, however they gladly thrive on more. 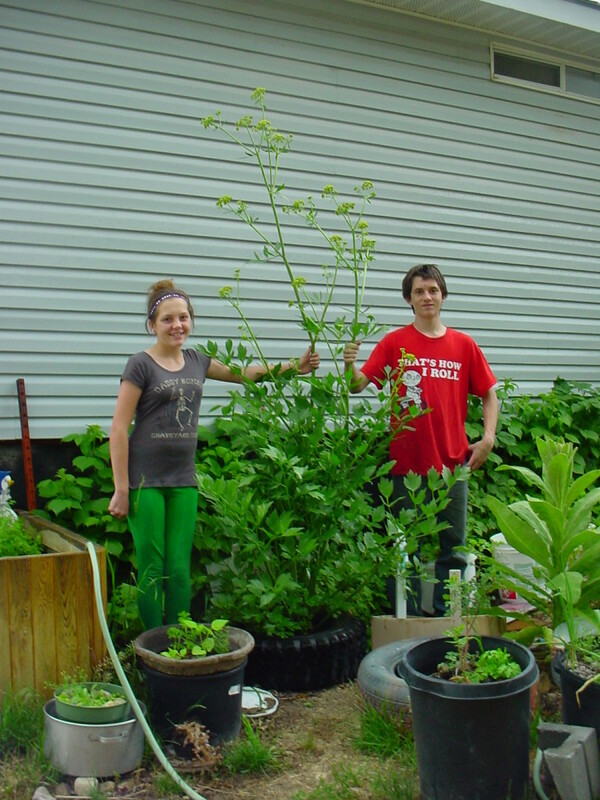 Where lovage receives ample water it gets quite tall. I found a perfect spot in the habitat to support my acquisition. The habitat thrives on it's own without outside intervention. She was planted on the East facing bank of an underground spring, with a row of trees at her back. The underground spring allows for consistent moisture without being soggy or wet. The trees provide shade during the hottest days of summer. Lovage is very easy low maintenance. There are no pest or disease problems. Any soil will do, I transplanted her three different times before settling her into the habitat. She thrived in all three locations. Sandy, sandy loam, clay, and finally, sandy loam with clay. 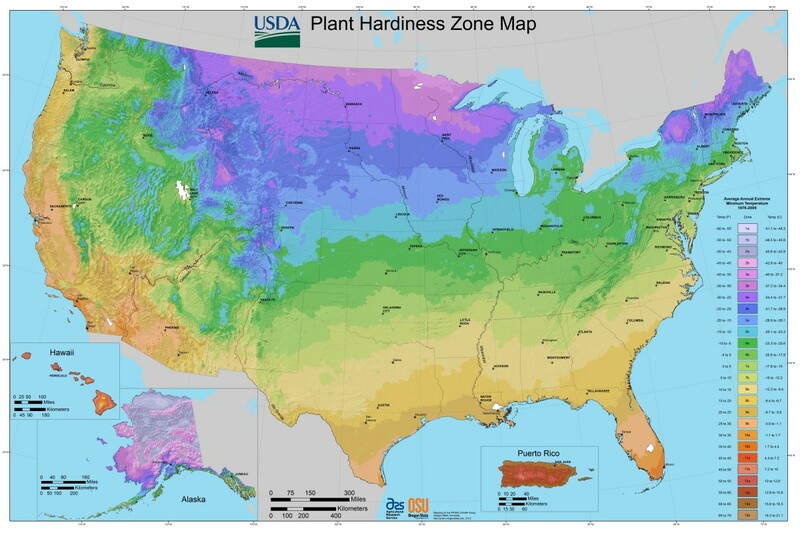 Water requirements vary depending on the soil, more water for sandy areas, less water in soils with clay. Lovage is a hermaphrodite and will self seed if given the opportunity and requirements are good. I try to harvest the seed before too many get away from me. Not only can they be used as a spice, I can add them to bird seed mixtures. Lovage demands space. She has an impressive root system that allows her to get quite large. She can get cut back multiple times throughout the growing season without affecting her health. Due to her size, and dependent on her position in the garden, this may become necessary during the season to minimize her greediness for space. If you chose poorly and find that you need to transplant her to a more favorable location, do so in early Spring before she starts. Dig deep and get as much of her rootball as possible. Try not to do transplanting in the heat of summer or while she is in flower. 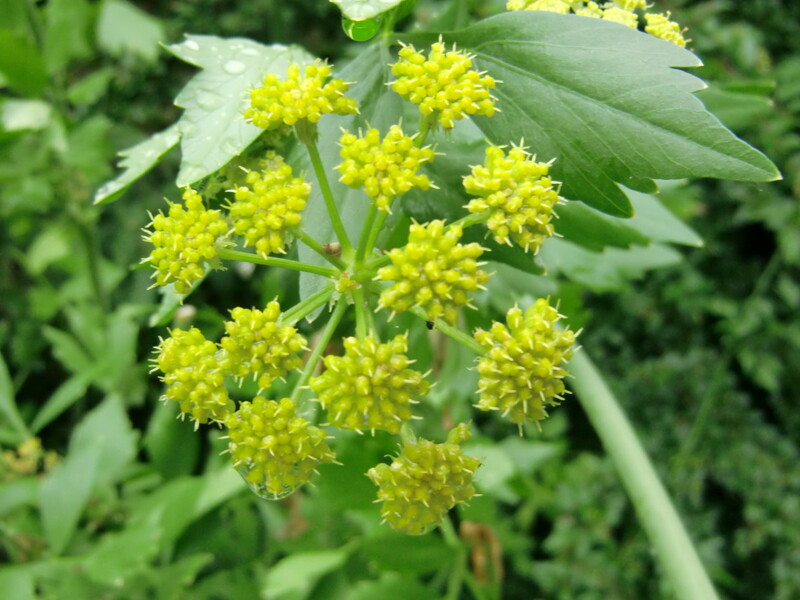 Lovage flowers are a beautiful shade of yellow, and look like a multi-layered kaleidescope. They attracts wasps, bees, and other flying insects that are beneficial to the garden or habitat. My baby is on her third year in the habitat, she has not been bothered by deer, rabbits, elk, or any other animal. The roots of lovage are harvested at 2-3 years used as a vegetable or as flavoring for broths. 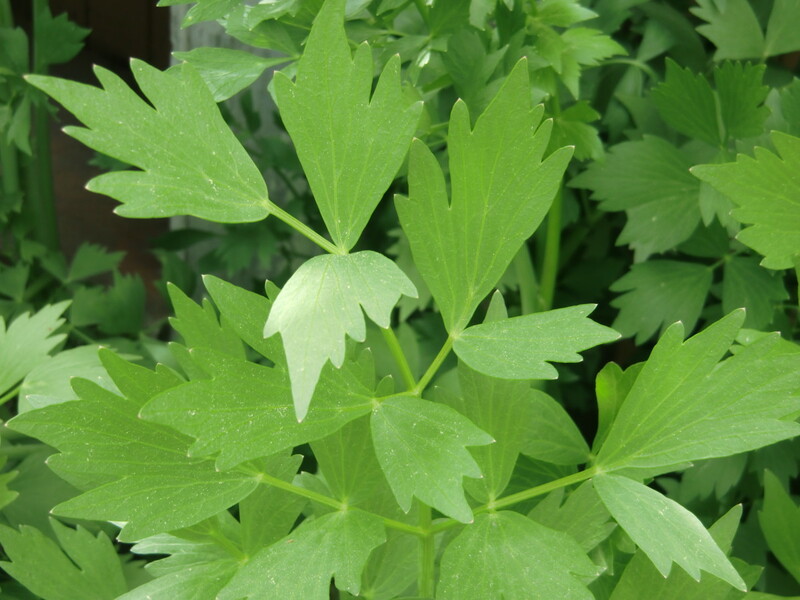 Lovage roots contain essential oils which are most commonly used as a flavoring. The seeds are used fresh or dried as a spice or as a flavoring, much like celery seed. They can be added to cakes, breads, soups and much more. Lovage is a fantastic addition to the kitchen garden. Once she's established you'll never worry about her again. With so many practical uses I wonder what made her fall out if favor in western gardens. 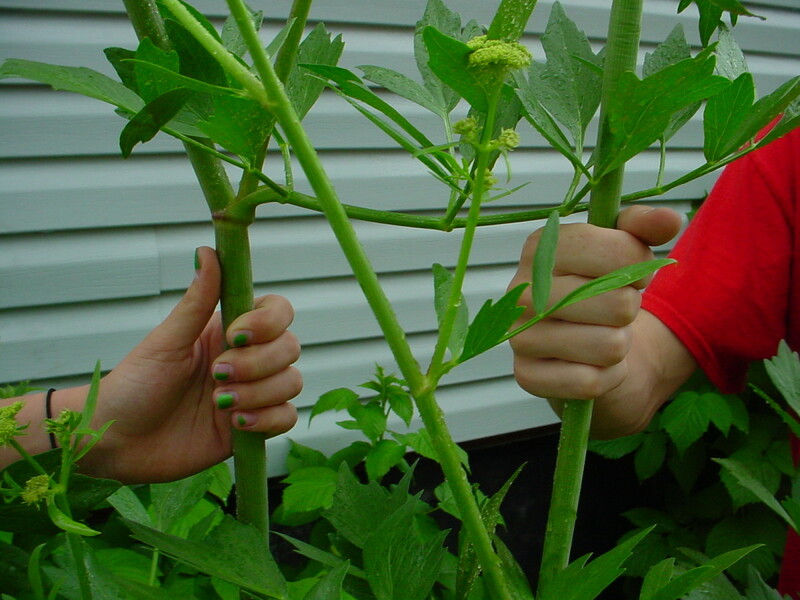 We have enjoyed growing and experimenting with lovage. We hope you will too. From our garden to yours, thanks for stopping by. If you have any questions or comments please share by commenting below. Good luck!!! I hope you find her a good home! Check back with your experience. Thanks a lot Kim. Thank you for the wonderful and informative post. It was really very very useful as i was looking something for my garden and literally wanted to learn about Lovage. Good luck for your research ! !